Tomorrow is Matthew's last day of elementary school. 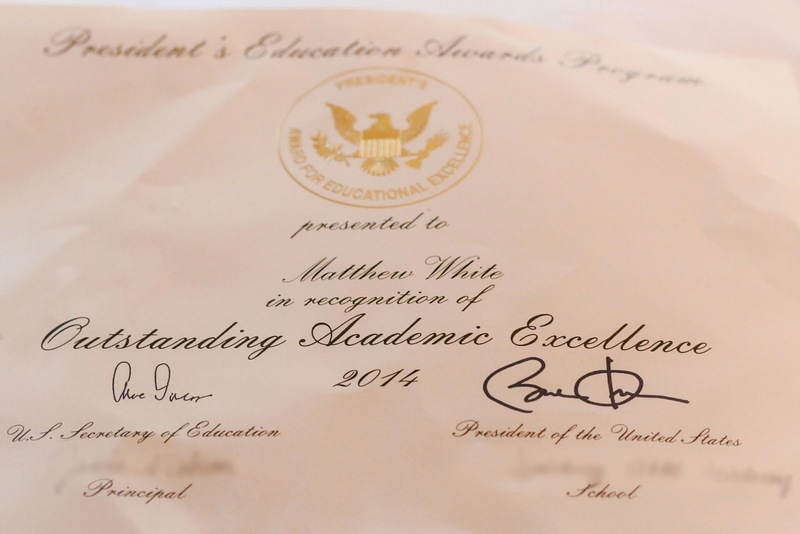 Today he got the same Presidential academic award that Josh got last week! I'm incredibly proud of both of them. They're great kids and they make me very happy!